Before the crisis, they said safeguards were in place to prevent it. During the crisis, they said some banks were too big to fail and needed an immediate bailout, or the U.S. economy might collapse. After the crisis passed, they said it had been caused by a few bad eggs and not underlying flaws in the system. They said that all the average people who ended up losing everything were to blame for their own misfortune because they were reckless and probably just as dumb as bugs. Welcome to 2008. Welcome to 1907. The usual take on what happened recently was that lenders were too easy with credit for risky subprime home loans, but we’ve since learned that the 2008 meltdown wasn’t all that simple; insiders had created a new financial underworld that few really understood. They invented a complex game of credit default swaps, collateralized debt obligations, and toxic securities, to name just a few of the new cards they slipped into the financial world’s playing deck. History books usually explain that the crash of 1907 was caused by lenders who were too easy with credit for risky stock market deals, and once it began, events happened with the inevitability of falling dominoes. But the backstory of that crisis is as deep as the events that recently led to the collapse of Lehman Brothers and Bear Stearns. Only problem is, you can’t find good information about causes of the 1907 crash online. There are a few books and papers on the topic (particularly “The Panic of 1907“), but these are either off-limits or available only as excerpts. (A short bibliography is included at the end.) None present a concise description of the root causes, and none continue the discussion into 1908, when Congress attempted to fix the problems. MEET THE MEGABANKS In the dozen years before the panic, big businesses were on a merger frenzy, gobbling up other companies at an unprecedented rate, both up to that time or since; 93 corporations bought out 1,800 firms. While the smaller, pre-merged companies usually had relationships with local bankers, big conglomerates used big banks. As a result of this merger mania, banking became more centralized between a very few large institutions in New York, Chicago, and San Francisco. THE 1906 EARTHQUAKE San Francisco was nearly destroyed in the Great Earthquake and Fire, but the impact of the disaster was also strongly felt in New York and overseas. To rebuild the financial epicenter of the Western United States, $50 million in relief money poured in from England and Europe. Faced with enormous insurance claims, some firms closed or paid a fraction of what was due, and the overseas insurers that did pay claims sent over literally boatloads of gold – another $65 million in bullion between April and September 1906 was shipped to America as cargo aboard regular passenger ships. (Attention Hollywood: Let’s have lunch to discuss a movie about what could have been the greatest heist in the history of mankind.) In the wake of this enormous transfer of gold, a credit crunch spread across the Atlantic to New York, and from there on to the rest of the U.S. By the end of 1906, banks were gripping tight credit and cash. TRUSTS ARE LIKE BANKS, ONLY DANGEROUS Why put your life savings in a boring ol’ bank when you could open an account with one of the new trust companies and get much higher interest? In some states, the trusts held greater assets than the banks by 1907. No one seemed concerned that the trusts were held to looser regulations, such as only requiring 5% of the deposits kept as cash reserve. One of the largest, the Knickerbocker Trust Company in New York, had such shoddy business practices that few within the company, even management, knew details of their holdings, and the Directors rarely met. THE CLEARING HOUSE RULES The keystone of the financial world was the clearing house, where large regional banks exchanged checks and bank notes. But it was more than a big room filled with bean counters and cashiers pushing wheelbarrows of money between vaults; the directors (presidents of member banks) formed the ultimate inner circle of the financial world. Members pooled their risk, and cheap short-term loans were routinely provided when any of institution needed help. During the weeks of the Bank Panic, the Treasury Dept. authorized the the clearing houses to print certificates that could be used as U.S. currency; once they had the ability to literally print their own money, certificates could be used for membership loans, making clearing house associates completely invulnerable to financial turmoil. The trust companies and the smaller banks didn’t have such advantages, of course, and were forced to appeal for a clearing house loan (which meant the bank’s owners might be forced to cede control), liquidate assets, borrow at high interest rates, or declare bankruptcy. When the dust began to settle on November 4, congrats were due Morgan and Treasury Secretary Cortelyou; only six of the national banks failed, and stocks were just down 37% from the last market peak of Sept. 1906. But survival came at a cost. At least four dozen banks and trust companies were closed, with their depositors losing everything. Money remained tight and the sudden shutdown of foreign investment had consequences, including partial blame for the Mexican Revolution of 1910. The banks that belonged to clearing houses emerged stronger and more powerful than ever before. Most importantly, the 1907 panic destroyed all faith that there were adequate safeguards in the banking system to prevent another disaster. The bankers didn’t want to work together to stop the crisis; rather, they sought to exploit it for short-term gain, or tried to weather it out by doing nothing at all, or stood paralyzed watching the disaster unfold, like innocents about to be stomped to death during Godzilla’s Tokyo rampage. If not for the not-so-invisible hand of J. P. Morgan, the U.S. quite possibly could have led the world into the Greatest Depression. Congress saw that some kind of central bank was needed, and a few months later passed the Aldrich–Vreeland Act, which became the groundwork for creation of the Federal Reserve System in 1913. More important in the short term was a new federal policy in case of another full-tilt bank panic; the country would temporarily switch to a government printed scrip. A little noticed provision in the Act, however, had the potential to change the entire banking system for the worse. To be deemed solvent, a bank would not need to have its cash assets in precious metals or government bonds; they could use any securities on hand. Thus (in theory), an institution might not have a single penny in its vaults, but be able to keep the doors open because it had old railroad stock certificates with a face value of millions of dollars on its books, even though the stock was actually worthless. The implications of this were staggering: If a stock certificate had a par value of $100, then it was worth $100 in scrip, which was worth $104 (including the guaranteed interest for certificates) in gold. In short, the Wall Street bankers would be motivated to create another crisis because resurrecting old stocks from the dustbins would make them enormously rich. 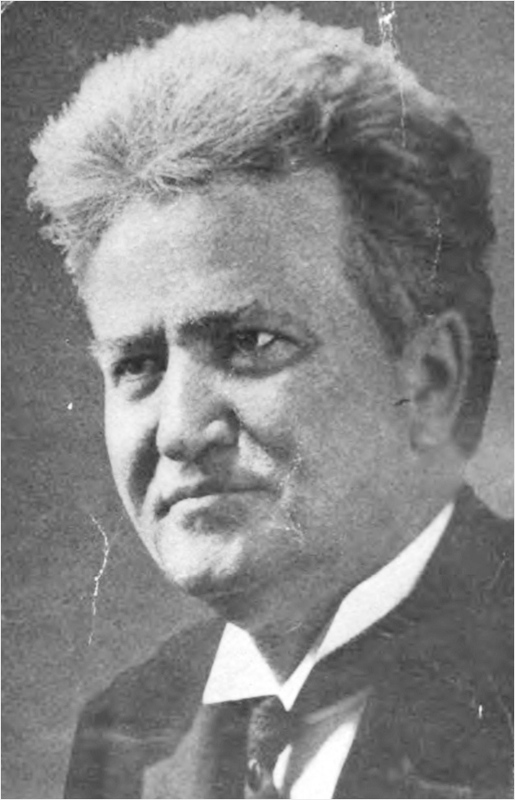 As the Act approached final debate on Capitol Hill, the only politicians concerned about this unprecedented change to the banking system were members of the tiny Republican progressive caucus of the Senate, led by Robert M. (“Fighting Bob”) La Follette of Wisconsin. After he discovered that a last-minute provision had been slipped into the bill that specifically gave the banks power to include their worthless railroad bonds and stocks among their securities, he launched a filibuster on May 29, 1908. La Follette, who ran for the Republican presidential nomination later that year, believed that 97 wealthy men formed a “Money Trust” that secretly controlled the economy. Earlier that year he had read their names into the Congressional Record and spoke often about their cabal in speeches on the Senate floor and on the campaign trail. He argued that through their interconnected board of director memberships – primarily through Standard Oil and the Morgan banking houses – they conspired to manipulate markets, and even engineered the Bank Panic as a means to consolidate power. It’s probably unnecessary to mention that La Follette has found a renewed following today on conspiracy web sites (example here). Although the interlocking directorships of the wealthiest companies was – and truly still is – an issue of great concern, the details of the 1907 panic prove the conspiracy-minded wrong; instead of acting in concert to manipulate the crisis, the elite bankers preyed upon each other with usurious interest rates, and ran to Morgan like frightened children begging daddy to fix. During his marathon soliloquy, he maintained his strength via turkey sandwiches and numerous glasses of eggnog ordered from the Senate cafeteria. He tasted something foul in one glass. According to a recent book on the Senate, “He swallowed some and then screamed to his colleagues and the gallery, ‘Take it away, it’s drugged’…the moment made for great political theater.” It is also sometimes mentioned that a subsequent chemical analysis discovered enough “ptomaine” (a general term at the time for a food contaminant) to have killed him if he had consumed the entire glass. Did someone really poison La Follette on the floor of the Senate? Only a couple of general interest authors (and Senator Byrd in the definitive book on Senate history) go as far to speculate that it was done intentionally, and a few biographers propose that it was likely natural food poisoning, as it was over 90° in Washington DC and the drink consisted of milk and raw eggs, all handled and prepared before the age of modern refrigeration. Refreshing drink, thy name is salmonella. Reporters were united in praising La Follette’s endurance. At the end of his 17 hour soliloquy, “his voice seemed to be almost as fresh as when he began,” stated a wire story reprinted in the Wisconsin State Journal. “He was wonderfully fresh to the end,” according to Walter Wellman, the Chicago Record-Herald correspondent who was apparently the best reporter on the scene. Other wire stories attest to his apparent unflagging energy during his marathon. Not to say that he was robust health; he was bedridden for several weeks earlier in 1908 with the flu (which sounds more like pneumonia), and there were many mentions in the filibuster coverage that he was still recovering from an unnamed illness. “La Follette complained of his recent illness and during much of the day leaned strongly on the arm of a chair half sitting as he talked.” (AP); “Senator La Follette, Weak From Long Illness, Keeps Senate In Session” (sub-headline on The Racine Daily Journal); “Mr. La Follette is not very well, and is, in fact, in poor physical condition for such a struggle.” (Chicago Record-Herald). “He had come practically from a sick bed to make his fight” (Washington Herald). From time to time during the afternoon and evening Bob sent out messages to [his daughter] Fola, who was in the gallery, that he was “feeling tip top.” Until late in the evening his strength was holding out far better than he had anticipated. At about 11:30, however, a discerning reporter noted that “it was apparent he was under a great strain. His words did not come anywhere near as easily as they had in the afternoon, and he embraced every opportunity for even a slight delay.” Some time between ten and eleven o’clock, during the interval of a roll call, Bob had taken a large swallow from a glass of eggs and milk which had been brought to him on the floor. As it went down, he detected a vile, bitter taste. He handed the remaining three-fourths of liquid back to his clerk and said in a voice distinctly audible on that side of the floor, “Take it away,” it’s “drugged.” Soon after that he had been stricken with a severe and painful dysentery unlike anything he had ever experienced before. Subsequently a chemical analysis of the remaining contents of the glass disclosed that it had contained enough ptomaine to have killed him had he taken all of it. At first the pain was so acute and he was in such distress that Bob thought “the jig was up” so far as continuing his speech was concerned. But by forcing several roll calls between 11:30 and 1:30 he managed to leave the floor for a few minutes and get back to his desk in time to resume speaking before each roll call was finished. The “discerning reporter” was from the New York Times, who indeed reported that La Follette appeared in distress. The source for the rest of the account was a letter from La Follette to his wife written a couple of days later, and now among his papers in the Library of Congress, so it should be considered his own version. The first question is whether it’s even possible that the story is true. It’s impossible to say for sure because the “chemical analysis” is ancedotal, and a couple of important words are inexact; “ptomaine” was a generic Victorian term for any kind of food poisoning. It’s also almost certain that he really didn’t have “dysentery,” which is a very acute condition and includes fever and bloody diarrhea; the Senator (or his wife) surely used the word to simply mean an epic bout of diarrhea. If it was “ptomaine,” the likey suspect was salmonellosis (salmonella), as guessed by a few biographers. But he claimed to have been sickened almost immediately; can food poisoning incapacitate someone within 60-90 minutes? Definitely not salmonella, which takes at the very least 6-12 hours to have effect. If La Follette had food poisoning he had to have been exposed to the toxins before the filibuster, or shortly after it began. So could the eggnog have been “drugged,” as he believed? Without (reported) fever or vomiting, the symptoms come down to diarrhea lasting a couple of very stressful hours, which could be easily explained by a powerful laxative slipped into the drink. Laxatives were considered a cure-all (even for cancer!) in that era, and every pharmacy had shelves filled with the latest name-brand cures as well as old-timey formulas. But the sort of violent, painful effect suffered by La Follette was hardly a selling point for most of these concoctions (one exception was an old formula called “Warburg’s tincture,” which was described as an “anti-malarial ‘shot-gun’ prescription” that would put you to sleep after a near-death experience on a commode – ingredients included aloes now banned by the FDA, alcohol, chalk, black pepper, and opium). And if you want to wander into an Agatha Christie scenario, the powerful Southeast Asian herb senna, which was used in tiny amounts in some of the old nostrums, could have been the culprit if enough was used. But if something was placed in La Follette’s drink, the most likely candidate was something probably found in every office on Capitol Hill: Magnesium sulphate, better known as “epsom salts.” Normally used to soak aching feet and wrists sore from election year handshaking, it can also be mixed in a drink to create a strong, fast-acting laxative, albeit one with a quite bitter taste. It matches all the criteria, including the risk of death via respiratory paralysis if the senator had consumed the entire glass. If epsom salts was the means, there were loads of people in the building that had personal and/or political motive to somehow force La Follette to sit down and shut up. The filibuster started on the beginning of the Memorial Day recess, when senators and their staffs were eager to flee the stifling Washington heat; the marathon session also prevented the cafeteria workers and all other Senate employees from going home. And, of course, there were the railroad lobbyists and their friendly senators who had vast riches to gain if the bill was passed. Like “Murder on the Orient Express,” it’s not hard to imagine that nearly everyone had some reason to do him in. But if I were detective Hercule Poirot, my first stop would be the medicine cabinet of bill author Senator Aldrich, who had remained on the floor throughout the entire filibuster, his keen eyes always “scanning the situation like an eagle,” as noted by a reporter.